Trick or treat! This Saturday we’re baking up a special Halloween treat guaranteed to turn any devilish ghoul into a sweet lil angel. 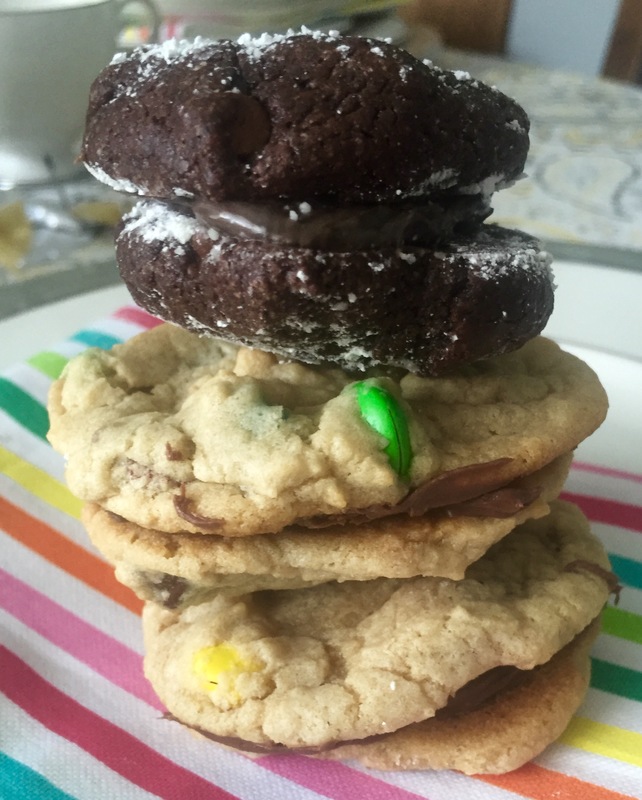 Our MONSTER Monster Cookies are loaded with tasty chocolate chips, M&Ms, and cookie butter. That’s right, cookie butter instead of peanut butter! The perfect ingredient to sweeten up the scariest of beasts and fearsome of demons! Happy Halloween! 2. Cream butter and brown sugar until light and fluffy, about 3 minutes. 3. Add in cookie butter and mix for 1-2 minutes. 4. Add in vanilla and egg. Mix until combined. 5. Combine flour, salt and baking soda in a small bowl. 6. Add the dry ingredients to the batter in two parts and mix on the lowest speed. Mix for a little less than a minute. Do not over mix. 7. 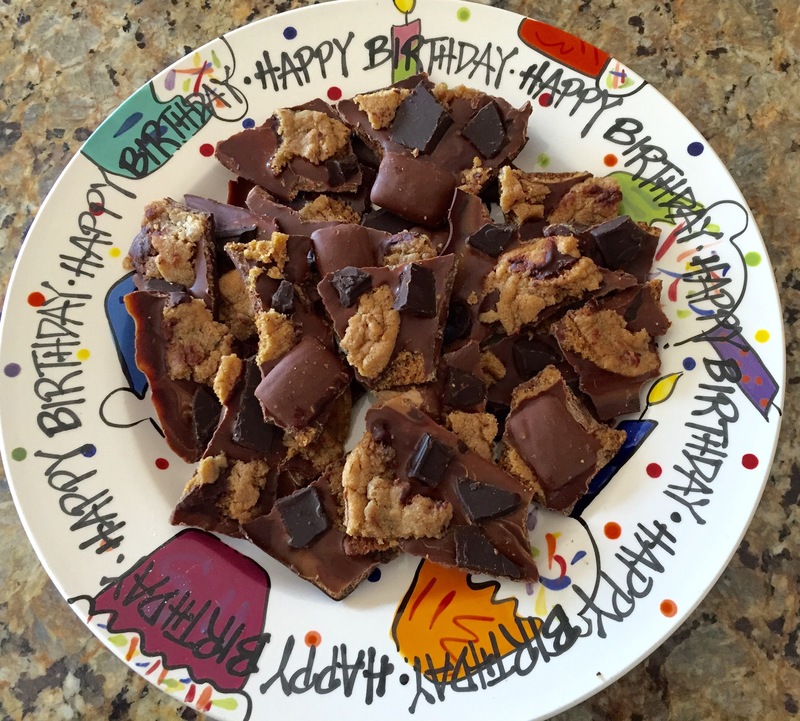 Fold in old fashioned oats, M&M’s and chocolate chips. 8. Drop dough onto a parchment line cookie sheet. 9. Bake cookies for 11-13 minutes or until lightly golden brown. 10. Remove from the oven and let cookies completely cool before decorating. Decorate your Monsters with extra cookie butter, sprinkles, and candy eyes! With Easter being one week away, we thought we’d spend this Saturday baking up a batch of goodies perfect for next weekend’s celebrations. Easter Cookie Cups are so adorable and incredibly yummy. Go ahead, hippity hoppity yourself to the grocery store to pick up the ingredients so you too can create these treats for “some-bunny” you love. Make sugar cookie dough acccording to the link below. Place sugar cookie dough in a muffin pan. Bake for 10 minutes. Use a shot glass to make an indention in the middle of each cookie immediately after baking. Allow to cool for 10 minutes. 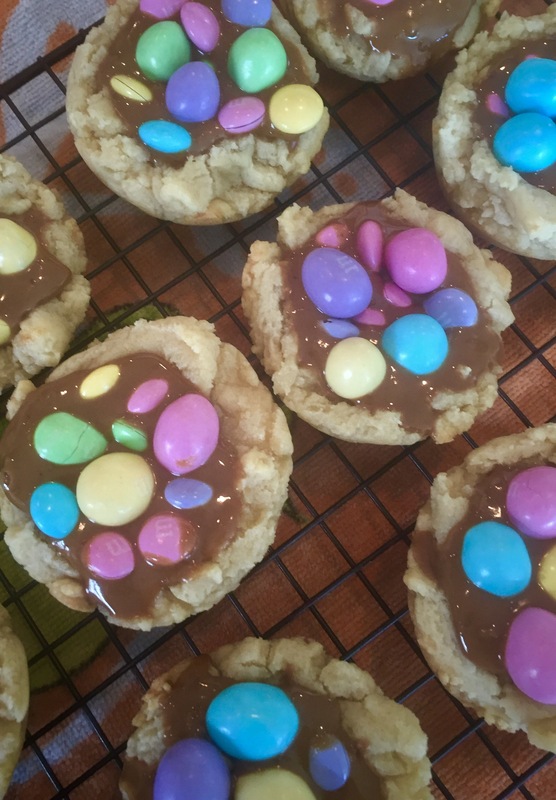 Fill each cookie with cookie batter and top with peanut and regular M&Ms. Hooray! After the last three weeks of healthy eating, we are finally back to our favorite Saturday routine, a little bit of baking and whole lot of sweet treat cheating. We’ve realized that no amount of cleansing will weaken our sweet tooth. So this week we are really going for it by creating two types of cookie sandwiches. Brownie crinkle and our favorite Ultimate chocolate chip! But we aren’t stopping there. No sire! Each will be filled with irresistible cookie butter, cookies and cream cookie butter, or chocolate toffee spread. It’s time to fill our tummies with what we crave most. It is Saturday, for goodness sake! We will get back on track on Sunday. That is, until the Saturday rolls around. Follow directions for both kinds of cookies. Once baked and cooled spread the cookies butters and chocolate toffee spread on one side of half of the cookies. Use the other half of the the cookies to place on top of the frosted cookies forming sandwiches. Enjoy! 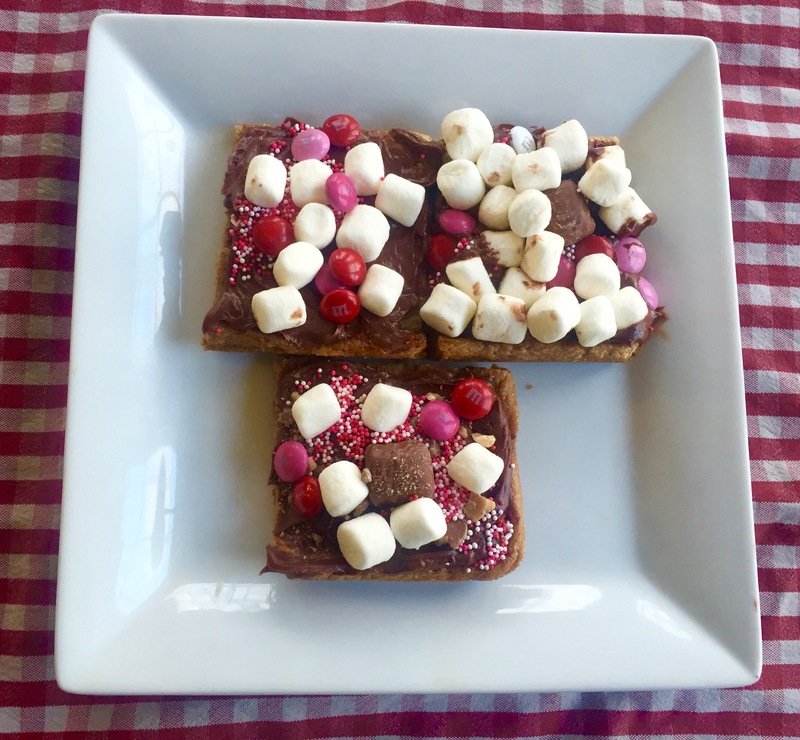 We’ve got a perfect Valentines Day dessert that’s the definitely a crowd pleaser. Cookie Butter Cookie Pizza with fun toppings! Bake up a tray of cookie butter blondies, slice them like a pizza, and decorate them with everyone’s favorite toppings. Anyway you slice it, you’ve got a ❤️ly little treat for all of your ❤️ed ones. Happy Valentines Day!! !